The rise in a preference for mobile web browsing has pushed for creative innovations in website development. Responsive solutions and adaptive applications are changing the way we interact with each other. An emphasis on content first, greater opportunities for simplicity and user-centered design are all challenging us to find and use the right approach, but what about website design? What new innovations will we see this year? 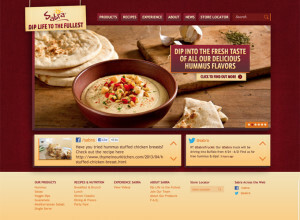 Responsive website layouts. Flexible layouts will continue to be created to transform out-of-date sites into mobile-ready business tools. Emphasis on content and user experience will further enhance the strength of this popular web design approach. Sliding web page panels. This is a dynamic website feature that allows visitors to scroll from left-to-right (and back). Combined with responsive website design and development techniques, this can help you create a real page-turner on the web. Check out what Sierra Mist is doing here. Vertical scrolling for mobile websites. While vertical and horizontal scrolling are a part of most sites, vertical scrolling will be a leading feature because of its mobile adaptability. This makes it easier for everyone to experience your site and its navigation. Check out our client D’Angelico Guitars. Fixed header bars. A chief solution under vertical scrolling, this provides a fixed top bar for navigation that provides an effortless way to move through mobile websites. If you have a content-heavy website, this gives your visitors a quick way to navigate your site. You can see an example on the VMware site we’ve done here. Mobile navigation toggle. Keeping navigation a prominent feature in responsive website design and development is key. On our Inflexion Interactive website, we’ve used mobile navigation toggle to give you an easy way to tap through our site. Custom typography. Responsive website redesign projects are replacing multi-layered backgrounds with clean images and clear content. This technique can use previously unavailable web fonts to enhance content of responsive websites viewed on any device. Parallax scrolling. This is an innovation from the video gaming industry that uses delayed scrolling to deliver details more quickly, provide narrative opportunities or add depth. We use parallax scrolling on our responsive site to add depth to the home page. Touch and tap. Websites are becoming a combination of desktop interfaces and mobile solutions, and experience enhancing features, such as large buttons for touching and tapping, will be considered for mobile-first strategies that aim to build responsive sites. Salonpas Mobile features app-like buttons and style. Home page feature tours. Introducing your product or service on the web can be strengthened with the use of a slideshow or a video. Whether you’re selling homes, do-it-yourself tools or craft-making supplies, demos are something to consider in 2013. Our responsive website design and development team is already using these creative techniques. We look forward to exploring even more ways to bring our clients closer to their customers through our mobile-first approach. Take a look at what we’re designing. Are you excited to bring a mobile-first approach to your website redesign? Contact us.